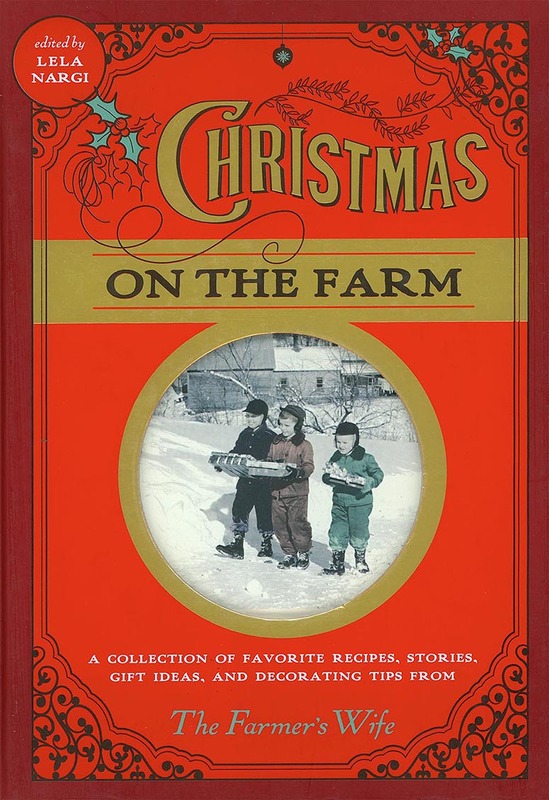 Christmas on the Farm is a Collection of Favorite Recipes, Stories, Gift Ideas and Decorating Tips from The Farmer's Wife magazine. Christmas was the be-all, end-all celebration on the farm. Pages and pages on the topic appeared in The Farmer's Wife (published 1893-1939), and these pages weren't just about food-although recipes for all the various components of parties and holiday gift baskets certainly abounded. The magazine's experts expounded on the best and latest ways to decorate home, tree, and parcels and to create homemade gifts for family and friends, as well as games to be played to capture the spirit of the season. In short, The Farmer's Wife presented its own opinion-both grand and humble, broad and minute, and always, always bearing in mind the idea of community among its readers-about the ways in which Christmas should be celebrated. You'll find in this book a smattering of that opinion. Here are recipes to see you through the entire Christmas season; gift ideas guaranteed to get your creative juices flowing; tips for decking your halls; and even a few stories to delight both the young and the young at heart. I will give no gift which I cannot afford. I will give no gift which has not love behind it. I will give some gifts which shall not be exchange gifts at all but genuine generosity to someone to whom it will mean very much. Don't do up a parcel in such poor wrapping paper or in such a flimsy manner that the wrapper may easily be torn and separated from the contents. Don't fail to put your name and address, preceded by the word "from", on the upper left-hand corner of every piece of mai. Don't forget to mail parcels early. Don't say that you expect nothing. You know that would not be so. Don't sigh for a baby grand piano if a barrel of flour would do you more good. Don't forget, if you are going to play Santa Claus, that cotton is not as innocent as it looks. Don't go around complaining that the true spirit of Christmas has departed. That is not the way to bring it back. Don't forget you were a child once yourself. Don't give simply for the purpose of showing that you can afford to do so. Don't value the gift by the amount of its cost. Don't put aside until tomorrow the good cheer you may spread today.